Shake off winter with a stay at one of these five hotels that really start to flourish come spring. They each offer an uplifting display of springtime flowers alongside the elements the Good Hotel Guide champions as the real key ingredients of a memorable stay: character, good food and an outstanding welcome. 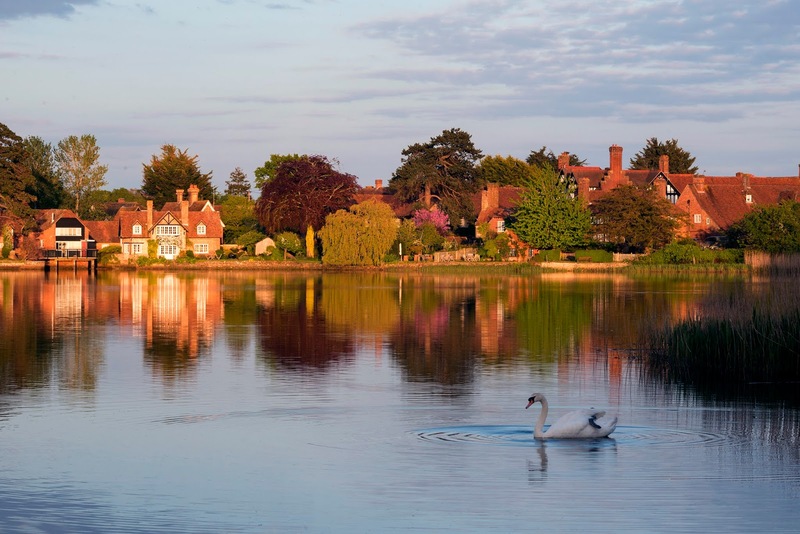 Whether you go dotty for daffodils or weak at the knees for wisteria, you’ll find a hotel in south east England to put a spring in your step this season. Every aspect of this recently spruced-up Elizabethan manor house is remarkable, but the springtime gardens deserve a special mention. Considered among the most important historical gardens in England, in spring the orchards cloud with blossom and the meadows shimmer through a rainbow of flora; March daffodils and sky blue Scilla give way to April’s wild tulips followed by a Pollock-esque display of native wild flowers in May. Fortunately, the restaurant, which hosts Michelin-starred chef George Blogg’s exquisite dishes (orchard and kitchen garden produce feature heavily) has floor-to-ceiling glass walls that open on to a garden patio so you can continue to feast your eyes on the springtime display – until you slip into slumber on a four-poster bed in your cosy bedroom. Set amid magnificent National Trust grounds that run down to the River Thames, this luxury hotel has a racy past, both aristocratic and political. The sublime hotel, in a 17th-century stately home, is surrounded by exquisite National Trust gardens. 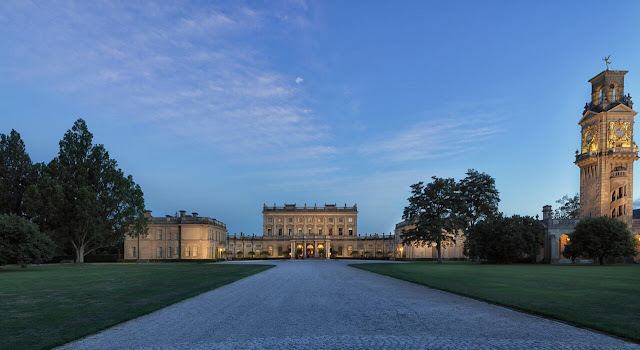 New for 2019 is The Gilded Gardens of Cliveden featuring hundreds of thousands of daffodils – including 57 new varieties planted for this year – cascading from the Sounding Chamber, whose glimmering gates have been newly re-gilded with 23¾ carat gold leaf. 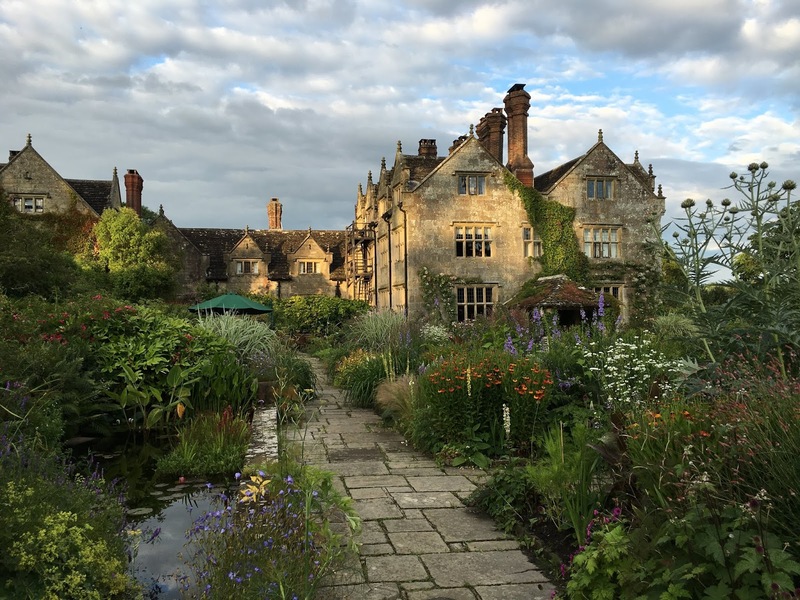 (There’s a £10 charge for guests to visit the National Trust gardens; free for NT members.) For extra springtime vibes, stay in Spring Cottage (the name arises from a waterier kind of spring, but never mind!). 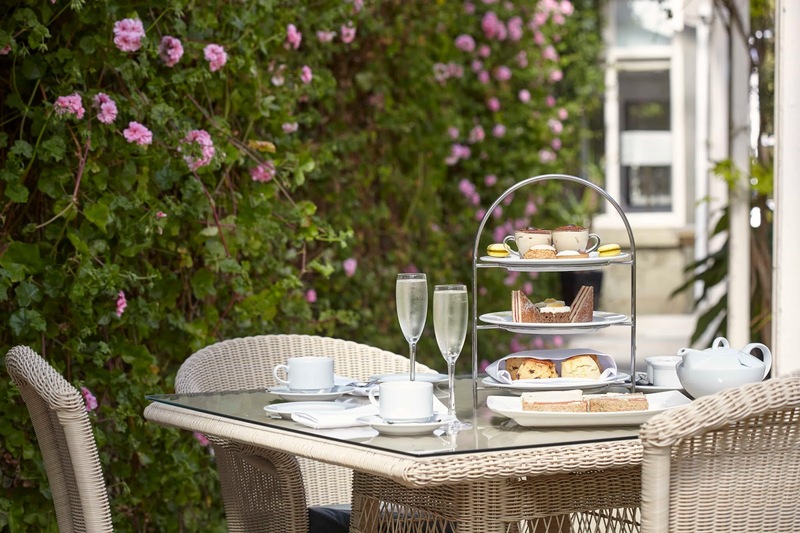 While trusted Guide readers describe the Montagu Arms Hotel’s own gardens as ‘most attractive’, it’s nearby Exbury Gardens that really make a splash in spring. The garden’s daffodil meadow flutters down to the Beaulieu River, while the woodland puts on an outrageous show of colour with large-leafed rhododendrons, magnolias, azaleas and wisteria. Back at the Montagu Arms, make the most of the springtime weather in the garden’s comfy sitting-out areas, dine in the restaurant – it uses produce from the hotel’s organic kitchen garden – and sleep it off in a four-poster or half-tester bed in one of the characterful bedrooms. Montagu Arms’ Spring Indulgence Break Special Offer should lend some extra sparkle to the season, too! As you might expect for a Jacobean mansion that was once the palatial refuge of the exiled Louis XVIII, Hartwell House is fit for a king – inside and out. Public rooms are filled with antiques, oil paintings and flowers, while suites are lavish and bedrooms spacious, supplied with freshly baked biscuits. The 90-acre grounds, like the house, are maintained by Historic House Hotels on behalf of the National Trust in high style. Don’t miss the spring garden, planted with 10,000 daffodils; the sight and scent of the orchard’s blossoming trees is balm for winter-weary souls, too. It was tough to choose only one springtime display in Kent, the Garden of England, but The Milk House just nudged out the competition. This pub-with-rooms has a dairy theme and creamy palette that feel especially fresh in spring, with flowers in milk pails and a sunny terrace that’s starting to come into seasonal use. The kitchen’s creative, modern plates use fresh seasonal produce sourced from a 20-mile radius and are just the thing to refuel on after the 20-minute walk from nearby Sissinghurst Castle Garden, one of the most famous gardens in England. Work up even more of an appetite with a stroll along Sissinghurst’s Lime Walk, which bursts into colour for four weeks every spring with tulips, hyacinths and fritillaries. Following the huge success of last year’s events and the increasing popularity of Chiddingstone Castle’s Literary Festival, the organisers are expanding the 2019 programme from three to FOUR days. The Festival will take place over the first Bank Holiday in May, bringing yet more wonderful author events and entertainment to West Kent, for both adults and children. The four days of talks, performances and workshops are set in the historic house and grounds and have been carefully curated to ensure there is something for everyone of all ages and interests. This is the Festival’s most ambitious programme yet, spilling over with riches and diversity, subjects this year include: true crime at the Old Bailey, powerful women’s poetry, new insight on Henry VIII, soldiers’ stories from World War II, terrorism in Africa, cutting edge forensic science, 12 months of applied self-help books, cookery from home and abroad, adventures in wine, 300 years of British Prime Ministers, revealing memoirs, thrilling new fiction, the origins and future of humanity, letters between mothers and sons, the inside track on Brexit and the current political turmoil, television personalities, and much, much more. A lifestyle strand features some familiar faces from television; Giles and Mary from Gogglebox, wine expert Oz Clarke and the queen of Middle-Eastern cookery, Sabrina Ghayour. To mark the 75th anniversary of D-Day Giles Milton will shed new light on the day’s events through the tales of survivors from all sides and TV historian Tracy Borman will expose the secrets behind the Tudor throne; the men who surrounded, influenced and sometimes plagued Henry VIII. Fiction writers include bestselling author Joanne Harris who will divulge the inspiration behind her compelling new Chocolat novel, The Strawberry Thief, published 20 years after the original bestseller. Novelist Emma Darwin will reveal her struggle with her Darwin-Wedgewood heritage and her identity as a writer in This Is Not A Book About Charles Darwin, and in a new feature the Debut Novelists’ Panel features Elizabeth Macneal, Harriet Tyce and Richard Lumsden; all fresh new voices discussing their road to publication. BBC Radio 4 scientist Dr Adam Rutherford will join Vybarr Cregan-Reid to consider the complexity of human evolution and what our future holds in this age of technology. Marianne Power will discuss her quest to find out if self-help books really can change her life with Jessica Pan who spent a year forcing her introvert self to become more extrovert – both with funny and moving consequences. At the age of 11, Tom Gregory became the youngest person ever to swim the Channel, he will tell his remarkable story of endurance, hardship and record-breaking triumph. Writer, journalist and widower of Margaret Forster, Hunter Davies now in his 80s, will explain how to live a long life and really enjoy it. ITN’s Channel 5 news editor Andy Bell will be in conversation with the Guardian’s parliamentary sketch writer John Crace, author of I, Maybot about life after Brexit. The BBC’s Africa Editor Mary Harper will discuss her new book on Al Shabaab, one of the century's most successful violent jihadist movements with Edward Paice, Director of Africa Research Institute. Historian and political commentator, Sir Anthony Seldon will offer the inside track on the last 300 years of British Prime Ministers. A fascinating insight into true crime is offered by forensic scientist Angela Gallop, talking to barrister Thomas Grant, about how she has solved many high-profile murders, and his history of the most sensational criminal dramas at the Old Bailey. Festival favourite Anna Pasternak returns with her new, surprising look at Wallis Simpson, drawing comparisons with divorced American Megan Markle. Local author David Lough and Donald Sturrock will be discussing the insights and intimacies contained in letters sent between two mothers and their famous sons; Winston Churchill and Roald Dahl. Acclaimed Scottish Poet Laureate (Makar) Jackie Kay will talk to BBC Poetry Editor Emma Harding about her life and work, and Ana Sampson will discuss her new anthology of brave, bold and beautiful poems by women. Emma will also be hosting a new Poetry workshop for adults. Additional workshops include Creative Writing for Wellbeing and How To Get Published with author and poet Sarah Salway, and more Life Drawing classes from Eddie Armer. There’s a chance to take part in a Poetry Exchange podcast recording and a concert from local choir The Beech Green Singers. Once again, the Literary Festival offers a special programme for local schools and home-educated children. This year it features bestselling authors Frank Cottrell-Boyce, Dan Freedman, Maz Evans, awardwinning poet Joseph Coelho and performances from festival favourites Really Big Pants Theatre Company. Throughout the festival the bookshop will once again be manned by Sevenoaks Bookshop and there will be a host of delicious food and drink available from local suppliers over the Bank Holiday weekend, as well as the Castle’s own Tea Rooms. All tickets to the festival include free entry to the Castle and its collections. For those who can’t wait until May, visit the Castle’s podcast page to listen again to some of the highlights from last year’s author talks www.chiddingstonecastle.org.uk/podcasts/. individual adult events £13.50, children’s events £6.00. Day tickets will be available on Saturday and Sunday, workshop tickets vary in price, see booking page for details. London is garlanded by strings of hills that are perfect for a weekend break to stretch your legs. From the chalky downs of the Chilterns to the rolling South Downs, there are plenty of opportunities for walking holidays. Here, the Good Hotel Guide has selected five of the best hotels for hilly walks in southeast England. You’re spoilt for choice when it comes to walks at Cliveden. 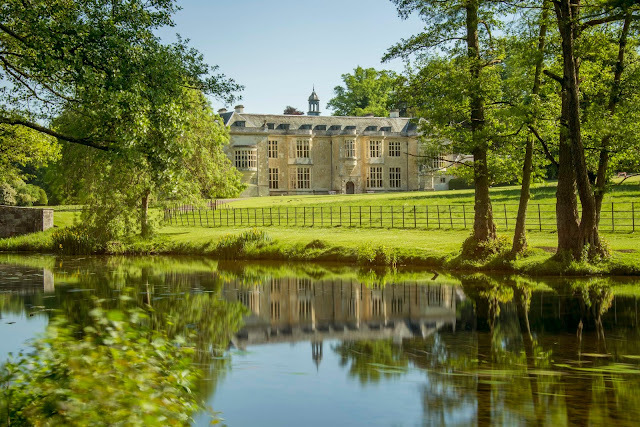 Set between the River Thames and The Chilterns Area of Outstanding Natural Beauty, this 17th-century stately home is a five-star base for gentle walks through rolling countryside and ancient woodland, along the Thames Path and past pretty villages. But no-one would blame you if you failed to leave Cliveden at all. 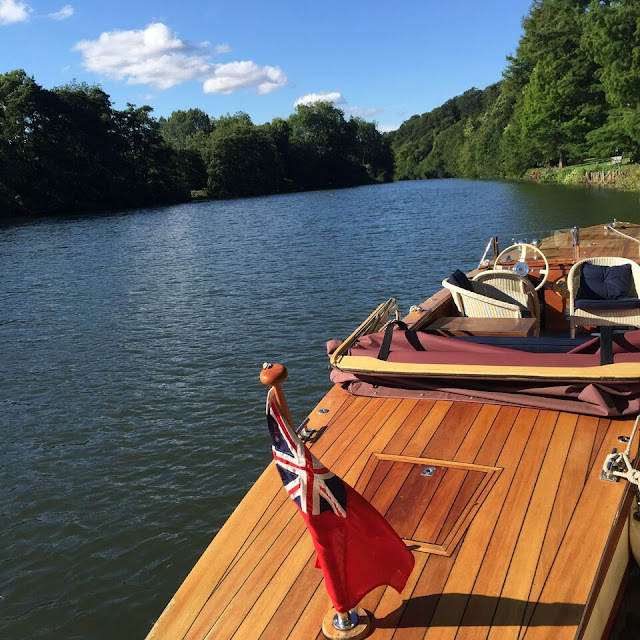 It’s renowned for its exceptional hospitality, exquisite cuisine and stunning bedrooms – and the expansive Thames views, giant maze and glorious National Trust gardens make for excellent walks from Cliveden’s door. A wisteria-festooned arch frames the entry to the prettily refurbished Bay Tree Hotel, in a row of 17th-century honey-stone houses in Burford. Rising up from the Windrush river and jostling with tea shops and antiques, Burford is a gateway to the Cotswolds’ rolling hills and rambling villages, and some of the best walks in the Cotswolds follow the Windrush Valley. Back at the Bay Tree, put your tired feet up in the country-contemporary bedrooms. All have fluffy robes, upmarket toiletries, a Nespresso machine. The public areas are a weary walker’s haven, with flagstone floors, ancient beams, huge open fireplaces, board games, local ales and a restaurant serving well-crafted modern British cuisine. In the 13th century, a hostelry on this spot provided sleep and sustenance for monks on pilgrimage to Canterbury. Nowadays The Crown Inn, Chiddingfold, does the same for walkers following undulating trails across the Surrey Hill Area of Outstanding Natural Beauty and the South Downs National Park. The timber-framed 16th-century country inn is full of traditional character; in the popular bar, local tipples are served amid medieval carvings, massive beams and inglenook fireplaces. 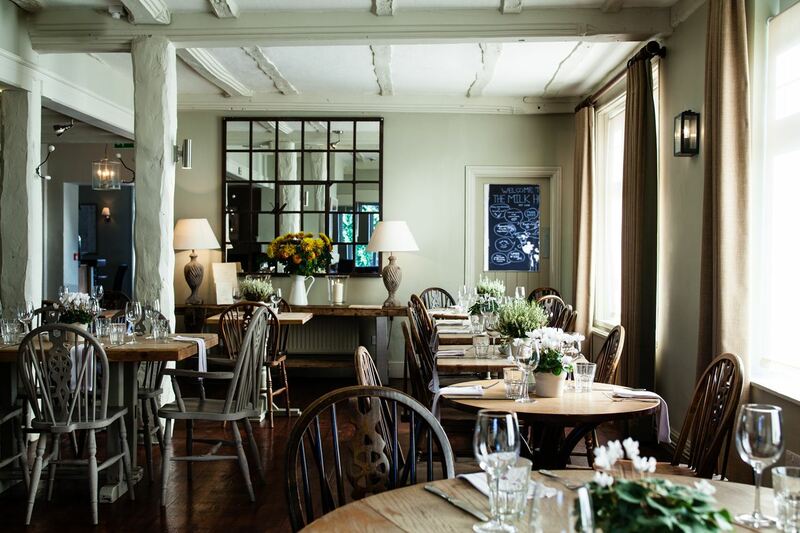 Delicious pub grub is attentively served in the oak-panelled restaurant. The eight characterful bedrooms, all sloping floors and antique furnishings, have chic toiletries; three have a four-poster bed. Ramblers exploring Ashdown Forest and the High Weald Area of Outstanding Natural Beauty’s hills are welcomed to The Cat Inn with big smiles and a warm-hearted atmosphere. This comfortably modernised 16th-century freehouse-with-rooms, all oak beams and inglenook fireplaces, is a haven for hikers and real-ale enthusiasts, and its high-quality, generously portioned pub grub and efficient service leaves guests purring. Upstairs, newly redecorated bedrooms enjoy little touches such as a Nespresso coffee machine, fresh milk, decent toiletries, and reading material to help while away the time between walks. There are 500 miles of footpaths to explore on the Isle of Wight, unfurling over chalky clifftops, rolling downs and rugged coves. This sunny island is a walkers’ paradise, with an annual walking festival to prove it. Located just a few minutes’ walk from Ventnor seafront, The Royal Hotel has catered for everyone from Queen Victoria and 19th-century health tourists to 21st-century ramblers, so it knows a thing or two about catering for outdoorsy people, especially those with a taste for the finer things in life. Helpful staff are on hand to help with ferry bookings and directions, and the charmingly old-fashioned Royal Tea is just the thing after a day in hiking boots – but do leave room for chef Jon-Paul Charlo’s inventive cooking. The traditionally styled bedrooms have fresh fruit, flowers and garden views.